In the last five years, heavy music has changed dramatically in so many ways. It has not only become more accepted within the music industry, but has also made giant leaps and bounds in terms of musicality and arrangements. Metal and all of its subgenres is truly a genre where only the best bands make it to the top. ORCHID ABLAZE are one of those bands who beyond doubt understand this concept and will work as hard as they possibly can to be the greatest band they can be. 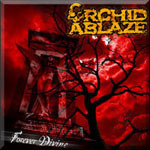 ORCHID ABLAZE is definitely a band that is 100% true in everything they do. They show extreme dedication and commitment and have a great work ethic. Everything they have achieved thus far has been accomplished by themselves with no outsourced help from any management or record labels. 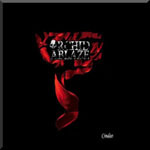 ORCHID ABLAZE have a fan base that continues to grow exponentially. The band knows that there are always new fans that haven’t been exposed to their music, and are willing to perform everywhere they can to show how far they want to push their music forward. 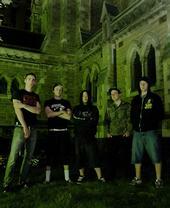 ORCHID ABLAZE has a goal to make space in an already highly established heavy music scene, and fill that space. Their main goal is to make that space feel empty without them there.